Nike ® Park First Layer Junior Top, First Layer. Fast Layer. For matches when you need a little extra warmth, the Nike Dri-FIT Park First Layer Jersey provides coverage that won’t cut down your speed. The stretchy fabric and Invisible Thumb Loops create a streamlined layer that moves smoothly below your kit. Anticipated availability for the Nike ® Park First Layer Top: January 2019 to December 2023. 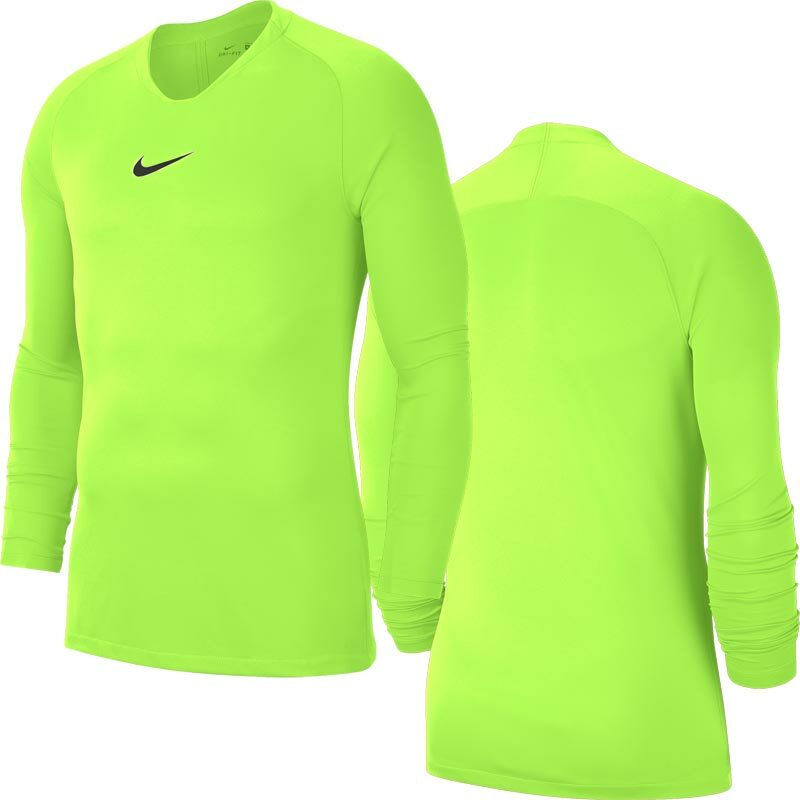 Swoosh design trademark is heat transferred on the centre of the chest.